Since summers in Chicago are pretty much the only things that make it worth living through winters in Chicago, it's important to maximize every second of elevated temperatures and moods. Intrinsic to the full appreciation of summer is steady access to summer jams, which is why I feel that Gabe over at Videogum is doing such valuable work by collecting them for us. 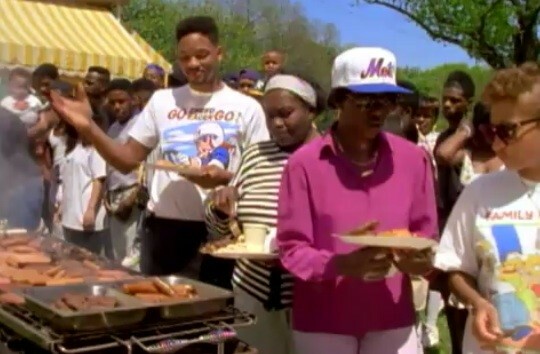 One of the most summer-jammiest of summer jams is of course DJ Jazzy Jeff & the Fresh Prince's "Summertime," a song that for a lot of people is connected at an almost genetic level to chilling at barbecues and driving around in cars, and which in 1991 inspired an untold number of dudes to buy shorts sets. Over at the Village Voice's Sound of the City blog, Jason Newman talks to the always charming Jazzy Jeff about the history of "Summertime" and how one goes about making the perfect summer song.